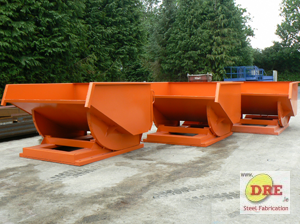 DRE have been manufacturing and supplying Tipping Skips for over 20 years. 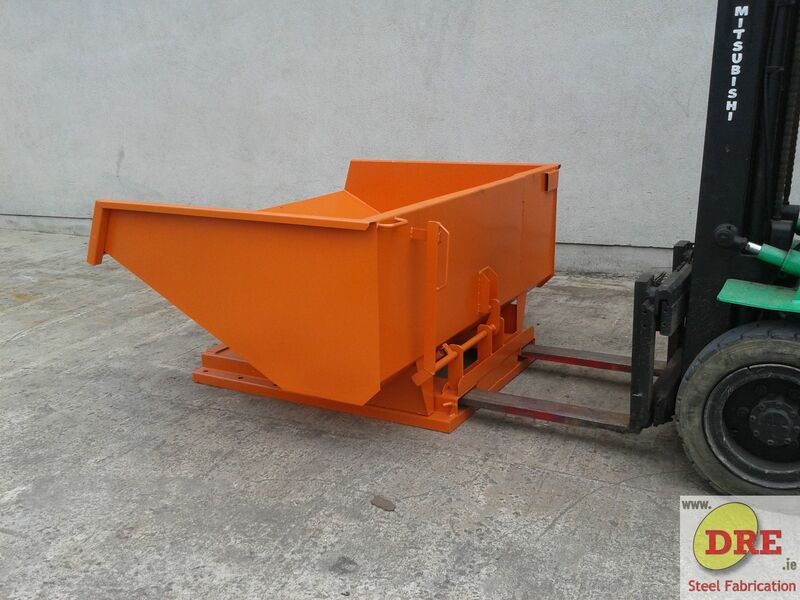 The Tipping Bins are manufactured in our workshop situated in Bunclody Co.Wexford Ireland, at the Wexford, Carlow and Wicklow borders. 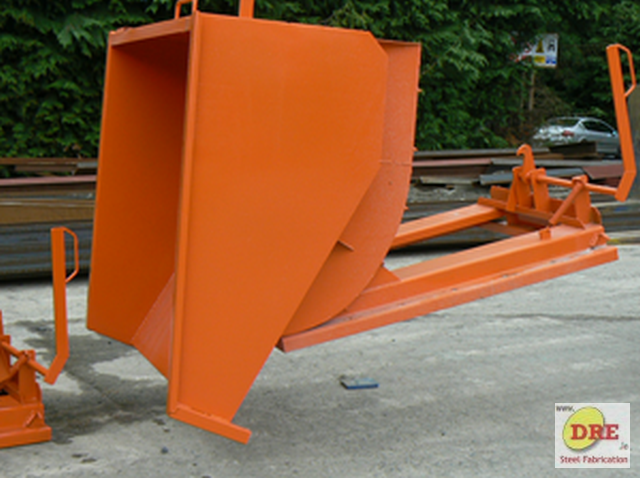 DRE Tipping Skip's are ideal for handling a wide range of waste products including steel, timber, paper, liquid and offal. 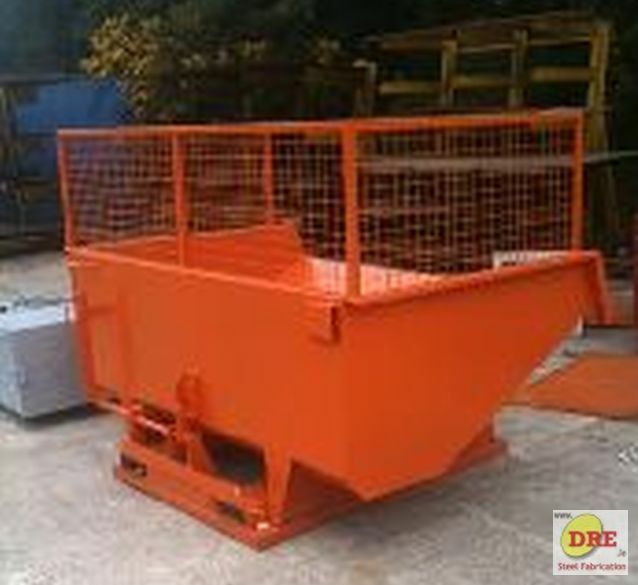 They are also ideal for use on building/construction sites for storage and transportation of sand and other materials. 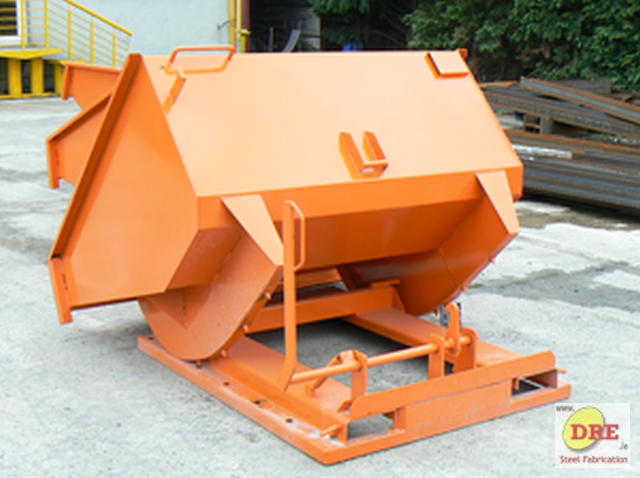 Our steel tipping bins are manufactured to & carry the CE mark. 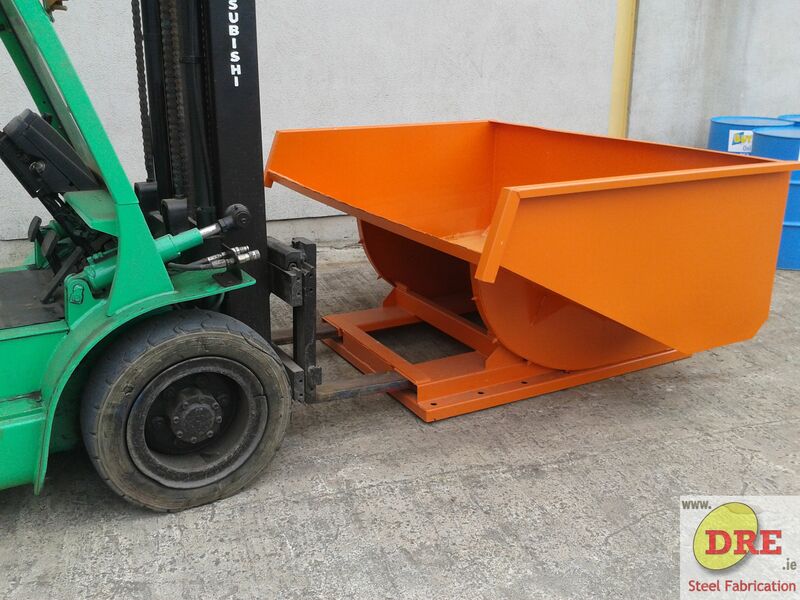 Also known as forward tipping bins.